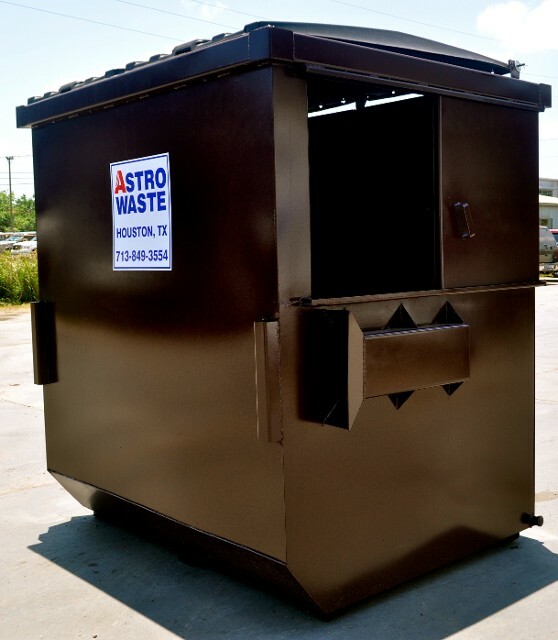 We manufacture all waste containers that are placed on your jobsite or place of business. These containers are ideal for small, temporary jobs or long-term waste service for small businesses, corner stores, restaurants, schools, and any companies that need regularly scheduled waste disposal for both trash and recycling. For prices call (713) 849-3554. These are large refuse containers that range in size from 20 to 42 cubic yards. These containers are ideal for businesses or constructions sites with a high volume of waste and recyclables. Compact Receivers- Fully enclosed box that allows for compactions of waste material inside. The compactor is sealed to minimize waste exposure to wind, weather, and pests. These containers are ideal for apartment complexes, schools, hotels, warehouses, and large companies for segregating recyclable materials.